Microwave cleaning at home can be easy and we have a few tips and tricks for a quick homemade remedy. 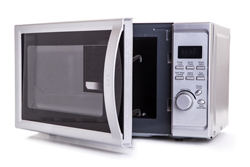 A Microwave oven is one of the most commonly used kitchen appliances. Most of us have one and use it regularly. 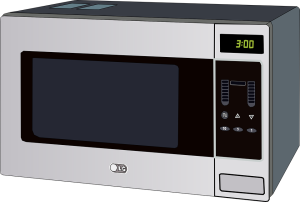 There are many benefits of using a microwave oven, such as speedy cooking, no need for pots or pans. One perhaps lesser known fact is that when used properly, the food cooked in a microwave oven can actually retain more nutrients than when it is boiled. On the other hand… microwaves can become dirty and smelly very quickly. Food splashes become baked on and seem almost impossible to remove. There is an easy and cheap way to tackle even the grubbiest microwave oven leaving it sparkling clean and smelling fresh. This homemade microwave cleaning hack is great for removing stains, fish smells, cooking odours, grease and smoke marks. All you need is a large bowl, (suitable for use in the microwave of course) clean water and a fresh lemon. Cut the lemon in half and squeeze the juice into the bowl. 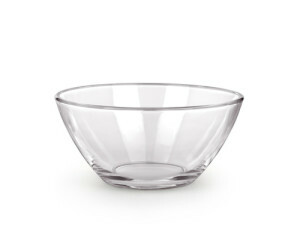 Next, fill the bowl with water and place it uncovered in the microwave. Heat on full power until the window becomes steamy, keeping the door closed, leave the water to cool for 15 minutes. Take care when removing the bowl as it may still be hot. Wipe clean the inside of the microwave and dry it with a cloth. Here are our top tips for keeping your microwave oven clean. If you haven’t been doing this routine and your Microwave needs a more thorough clean, give us a call.